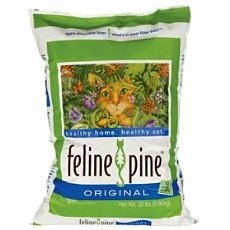 Feline pine is a all natural cat litter that is free of chemicals, additives or artificial fragrances. It comes in four different sizes,7lbs, 10.2lbs, 20lbs, and 40lbs. According to their website the 7lb bag lasts around 4 weeks. This cat litter is made from pine pellets, which are very small in size. The first thing that we liked about this product is the fact that our cat's willingly used it. Our cats can be very picky about their products, so the fact that they used it without curling up their tail and walking away, placed this product in our good books. Keep in mind that we did have to mix our old litter and slowly transitioned over three days. Our cats hate changes, most cats do, so we never do any drastic change when it comes to their products, we always have at least a couple days of transition. The pellets are very small and light in weight. Feline pine states that the product is flushable, so we started flushing it, and although it flushed without any problems, I later read an article about cat waste entering our oceans and causing health problems to sea otters, so we went back to properly disposing it in the garbage. We were really surprised by the odor protection, I definetely thought that this was going to be a con, but to our surprise feline pine actually does offer pretty good odor protection. We do scoop quite quickly after our cats use their litter, so this might play a part in the reduce odor. This cat litter also clumps really well, something we weren't expecting, so it's easy to scoop and throw out the waste. We also like the fact that it doesn't contain any chemicals, or additives, and the fact thtat it's perfume free, our cats are very sensitive to scents and dislike products with scents. If you plan on purchasing this product, you will also need to buy a broom and a dust pan and literally place it near the litter box. After feline pine leaves the small pellet stage, once your cat has used it, and breaks down into sawdust, it becomes very dusting.It is not only dusty, but trackable, which means your kitty's little paws can track it all over your home. This was very frustrating at first, but a cat litter mat, really helped to reduce that problem. We placed one pink cat litter mat, we do have girls, on each side of the litter box. This is the only problem that we had with the product, but our trusty broom and the litter mats really helped to reduce this problem. We would definetely recommend feline pine cat litter. Any product that is free of chemicals, additives and fragrant free that your cat will actually use, is usually a great product. We loved the odor control, we were a bit concerned that this product would leave our house smelling like a not so clean cat litter box, but it was quite the opposite. Cats are picky, as all cat owners know, we just buy the product and they decide if it stay or it goes, this product looks like a keeper. Out of a possible five paw print we give this product four. 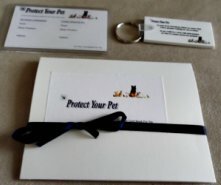 Four paw prints means that this product is a great product that we love. 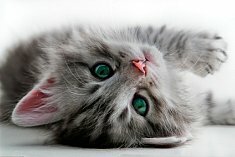 Where Can I Buy Feline Pine Cat Litter? How To Finally Get Rid Of Cat Litter Odor - Different Effective Ways To Rid Your Home Of Smelly Cat Litter. 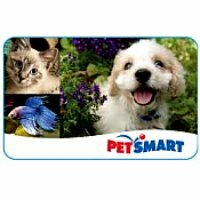 Self Cleaning Cat Litter Box Reviews - Reviewing Several Different Self Cleaning Litter Boxes To Find Out Which One Is Worth Your Money.